We’ll be bringing you the second part of our interview with Scott O’Raw of the Velocast in our March issue. However, after our cycling chat we spoke about Brexit. Here is Scott’s ‘reading of the tealeaves’ regarding Brexit. 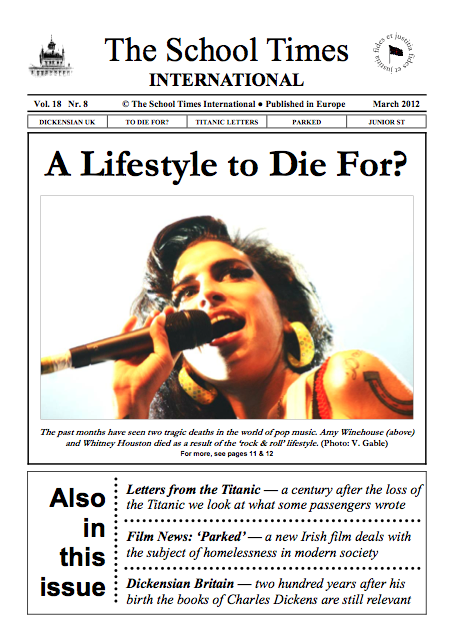 Log in to listen to and read this 1-page sneak preview from our March issue. 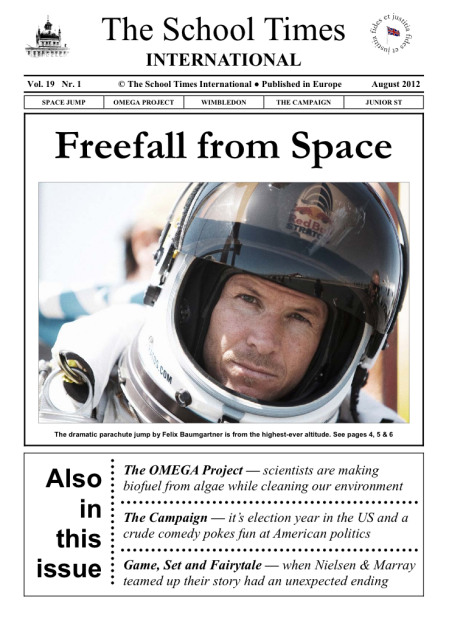 We’ve updated our search able PDF Subject Index to include all articles from August 2017 to April 2018. With the upcoming inauguration of Donald Trump, the theme is: US Presidents. 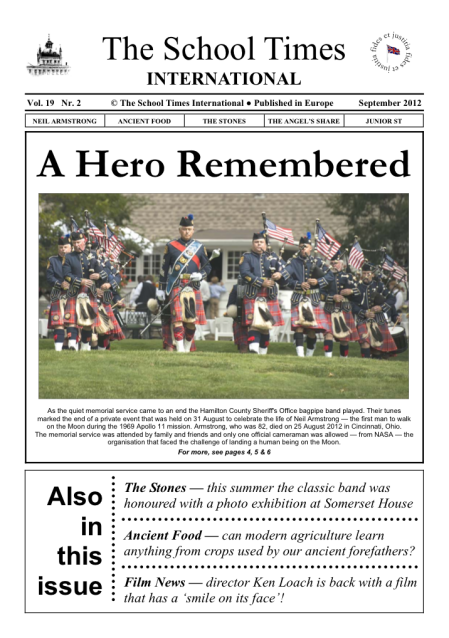 Two articles with exercises and audio from our archives: ‘The Kennedys’ and ‘Lincoln’. Teachers and students, log-in with your 2016 access code until your 2017 code arrives. 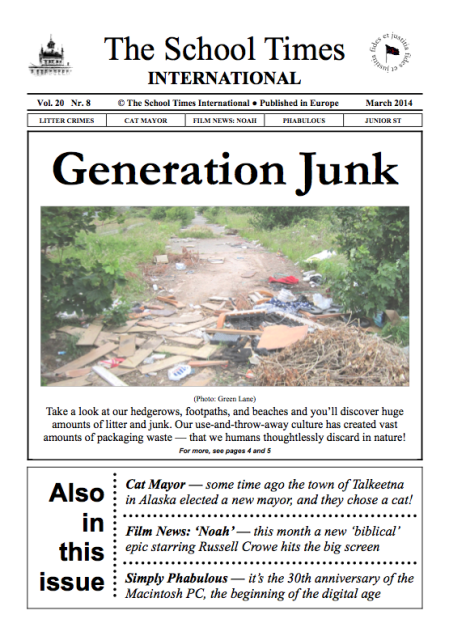 A new School Times website for students! 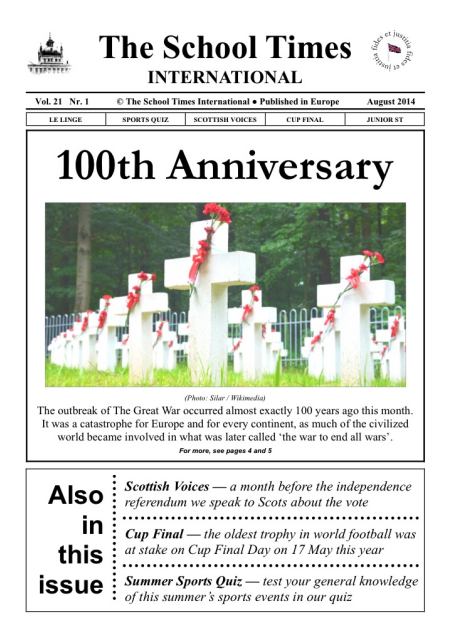 This year, 2014, is the 20th anniversary of The School Times. To mark our two successful decades we have now created a special website for your students to login to. 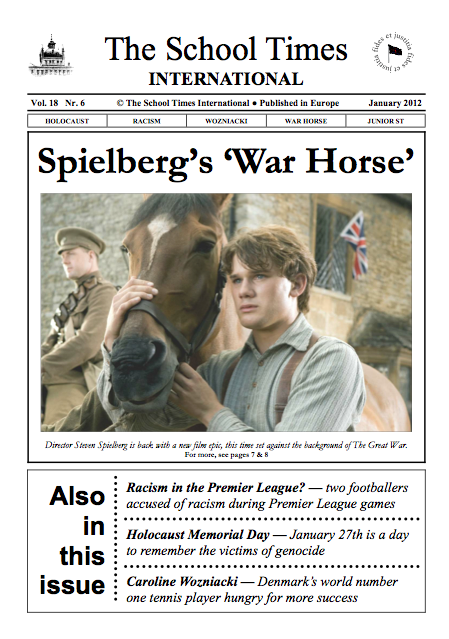 At present, only teachers are allowed to access our full site and archives to print our materials and use our audio texts. 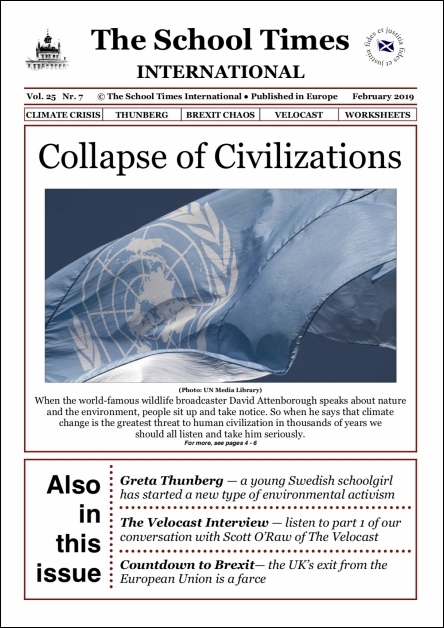 However, at our new ‘student site’ e-schooltimes.com your students will be able to access the latest issue and Worksheets (without the Teacher’s Page) each month. 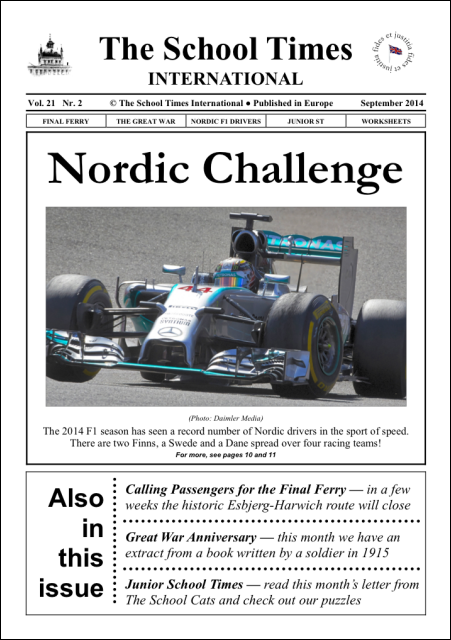 Of course, this requires a special login and during 2014 we are offering this new student access ‘free of charge’ to our current subscribers. Teachers, log-in to our full site for details! 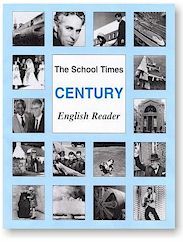 The School Times Century English Reader is a look back at some of the people and events of the 20th century. We have chosen subjects which we believe will interest students and, we hope, inspire them to learn more about the most dramatic 100 years in the history of mankind. 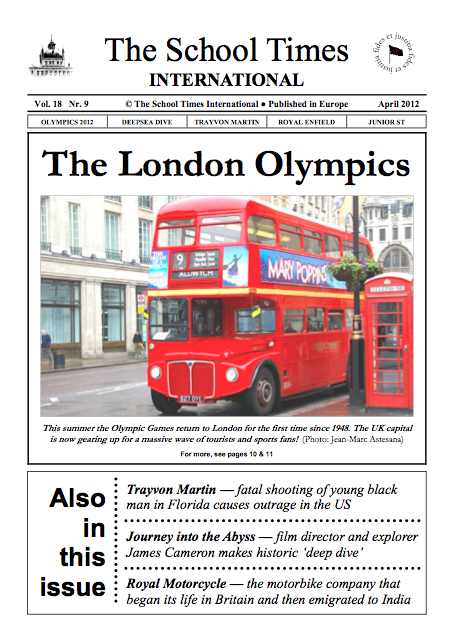 Welcome to the home page of The School Times! 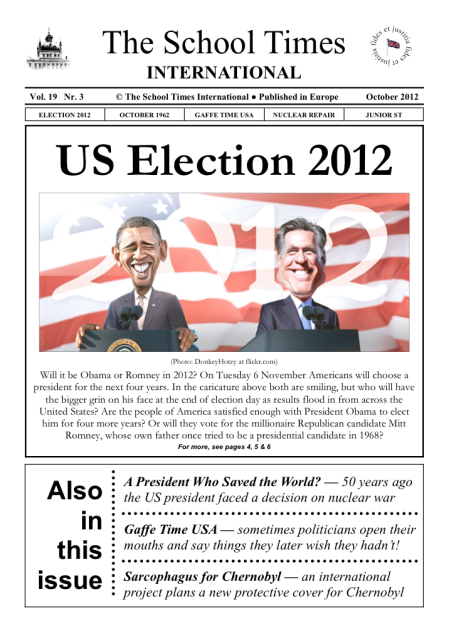 The School Times is a monthly newspaper written in easy-to-read English. It is for school children and adults who are learning English as a second language - for students with about 2-3 years experience of English. For more information see our product information page.